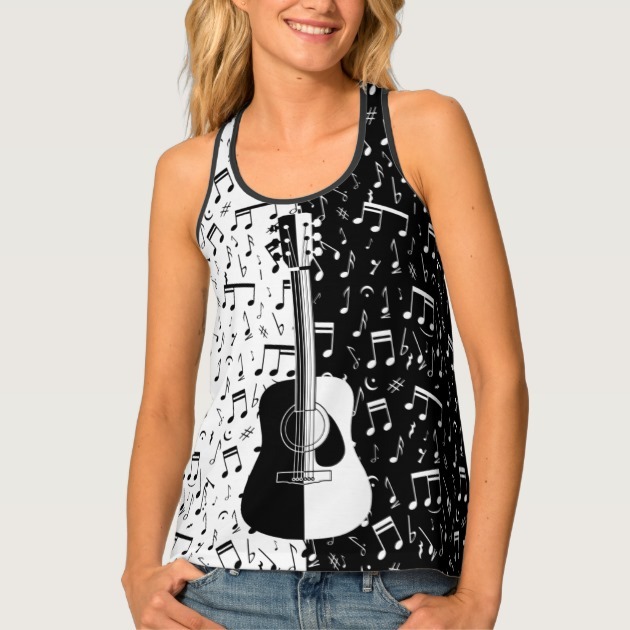 piping accent available as black or white on armholes and neckline. 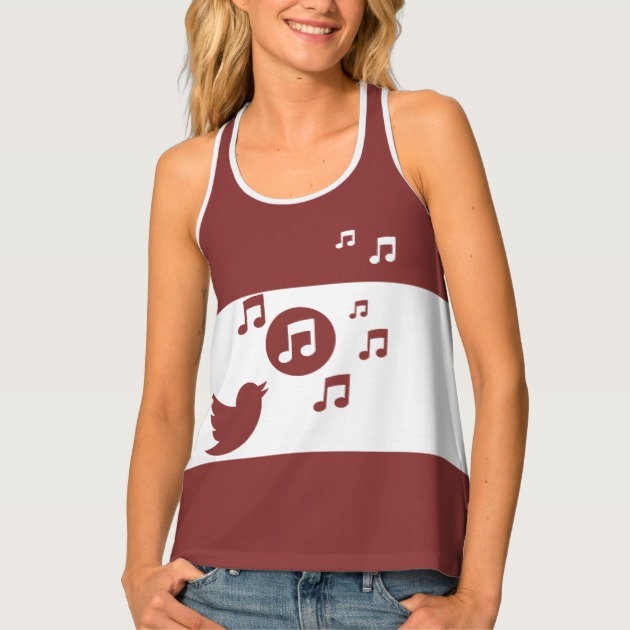 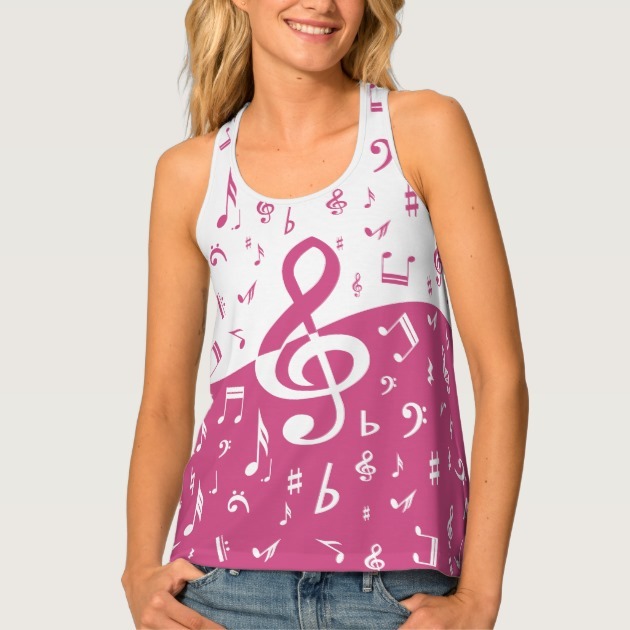 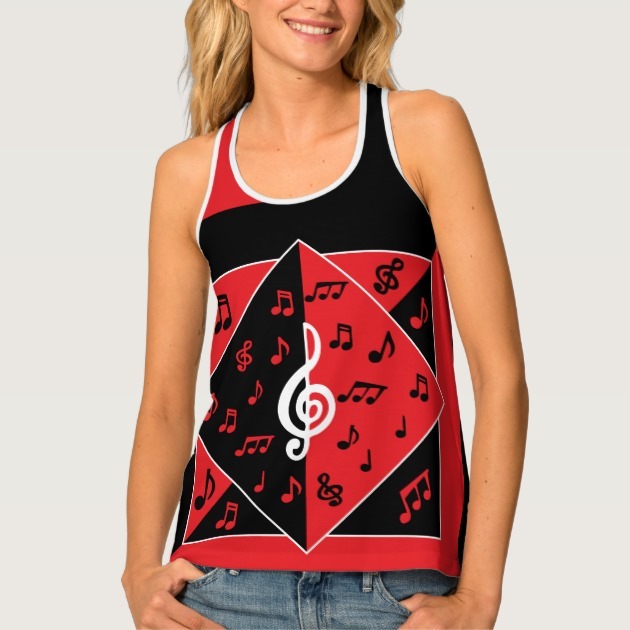 Cool tank for the music lover, Random musical notes in cranberry pink and white with a large treble clef in the centre. 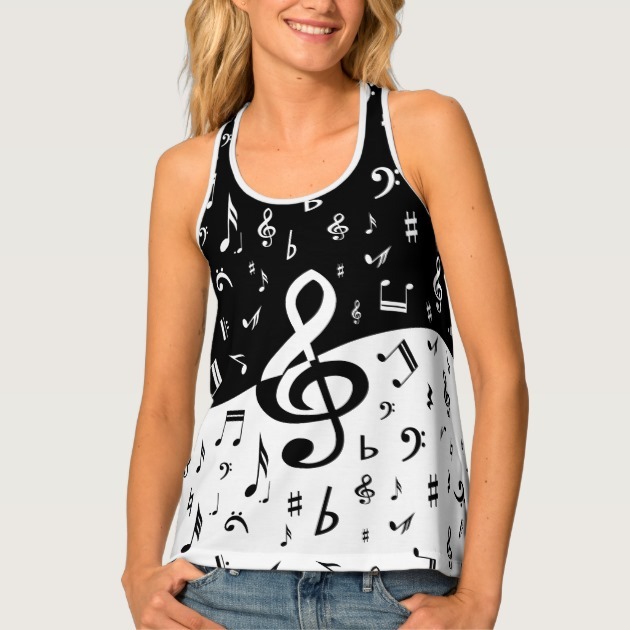 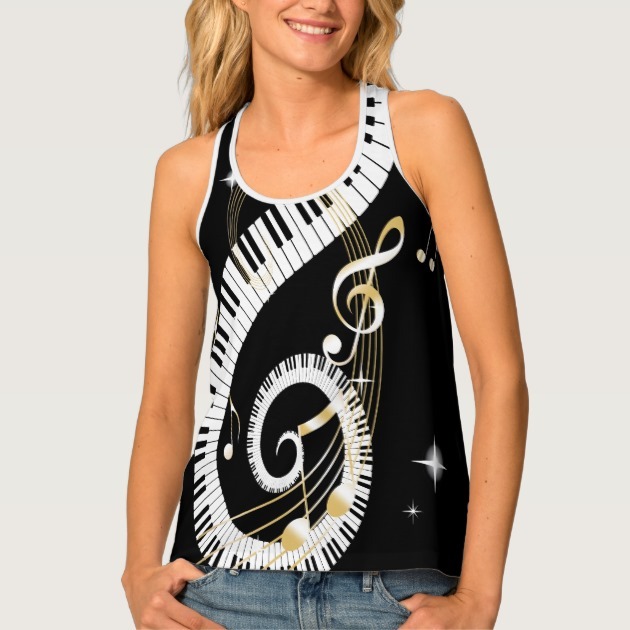 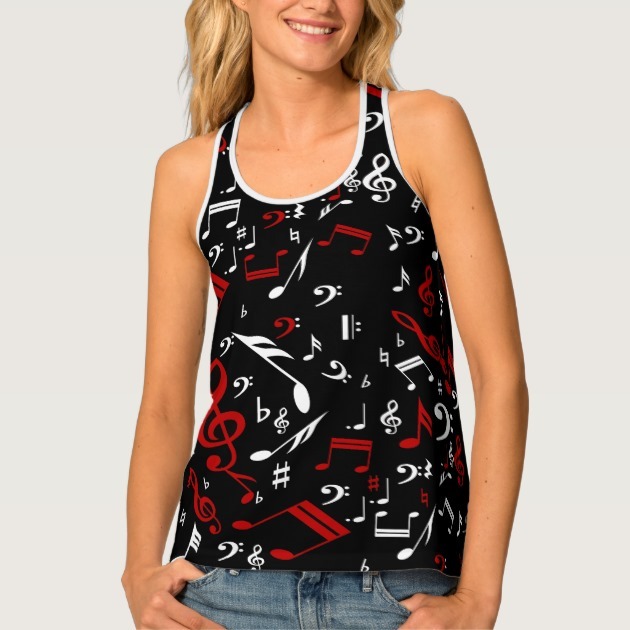 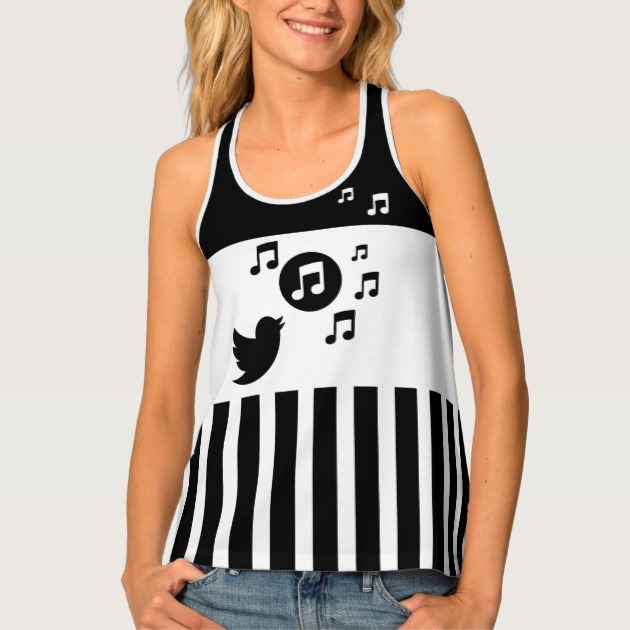 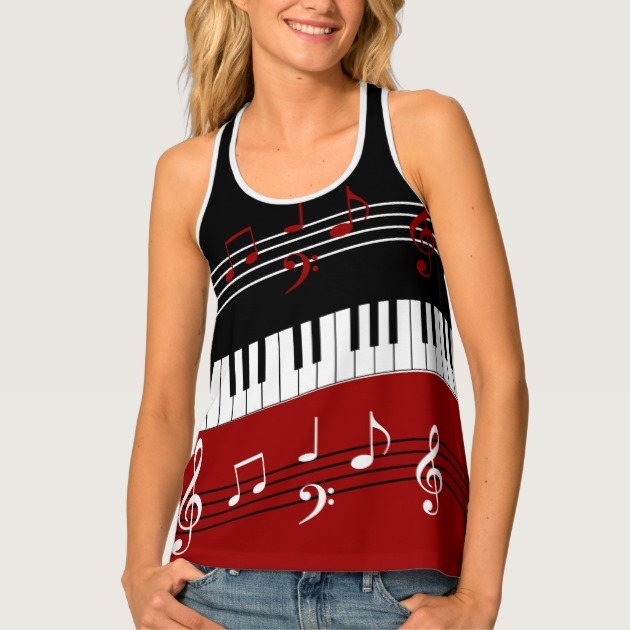 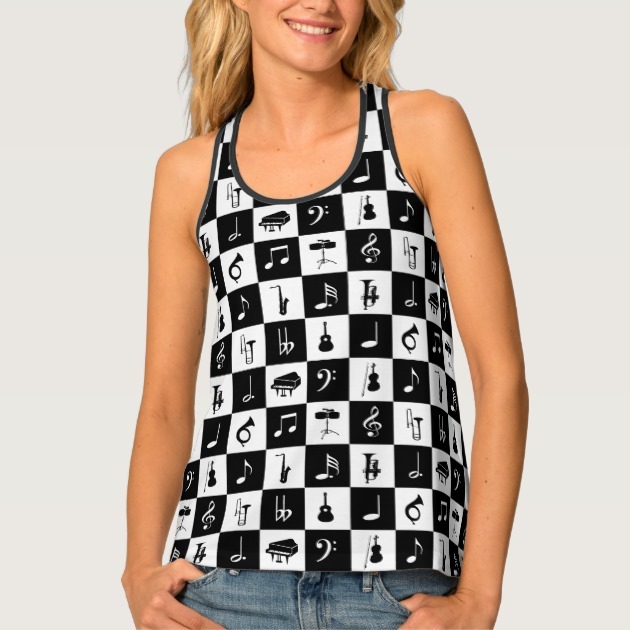 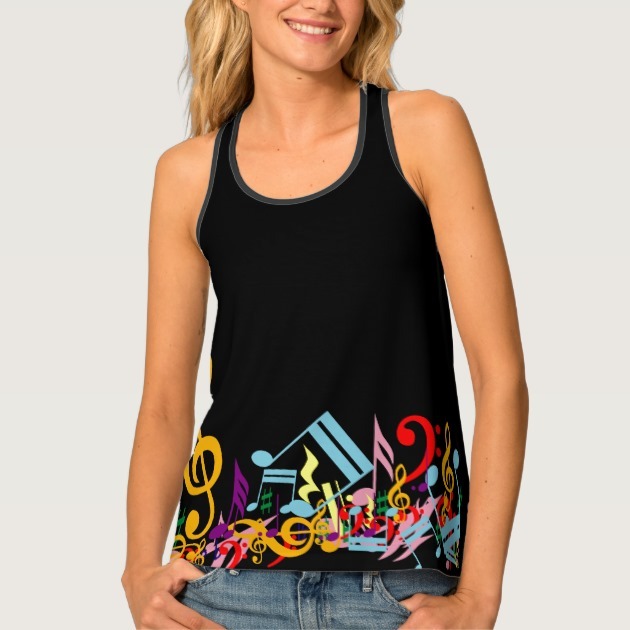 Modern music design with songbird and music notes with a black and white striped pattern border ladies tank top. 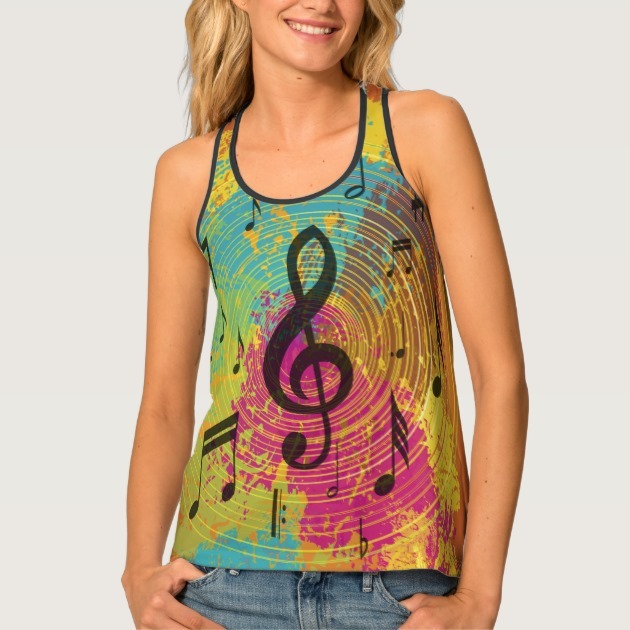 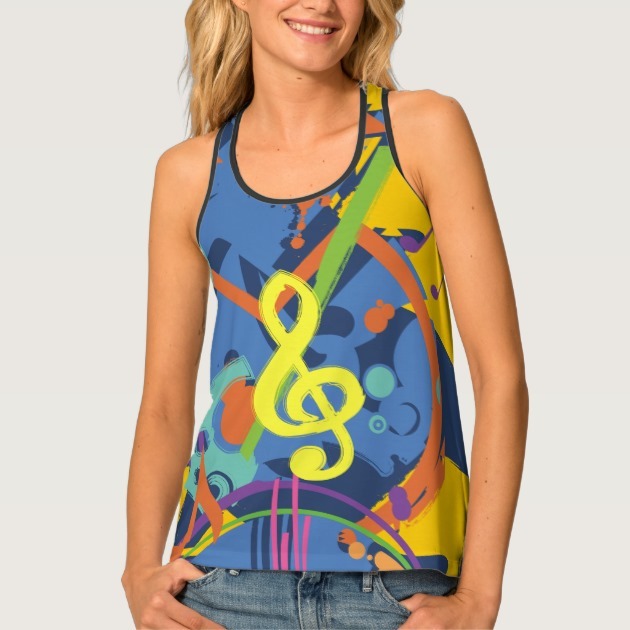 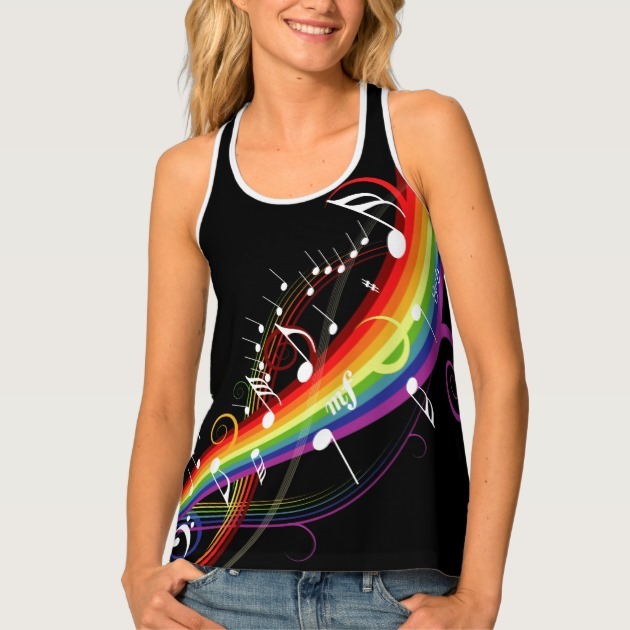 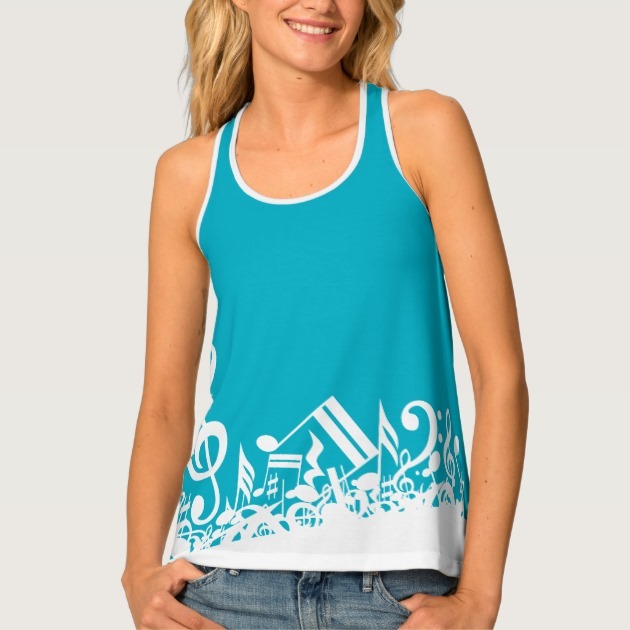 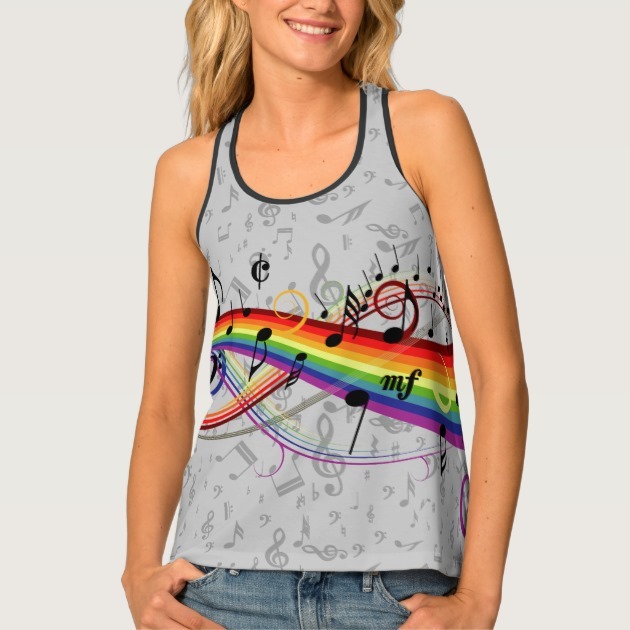 Stylish ladies flowing tank top featuring black musical notes floating on a rainbow of swirling rainbow colors.